I can't believe how huge some of the giveaways are at the moment and this one is no exception! 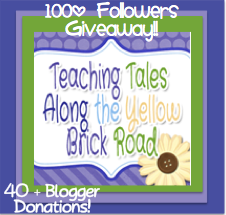 Christy from Teaching Tales Along the Yellow Brick Road (what a sweet name, hey) is having an absolutely huge giveaway. There is a K-2 Giveaway and a 3-5 Giveaway. Go visit today and enter! 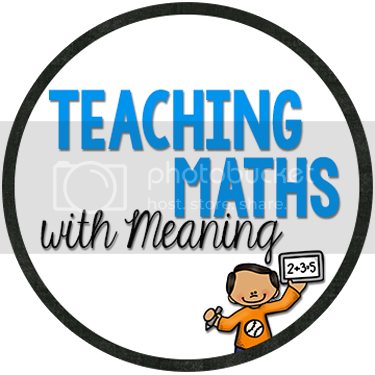 If you are already following me on my blog and on TpT, then you have some entries already! 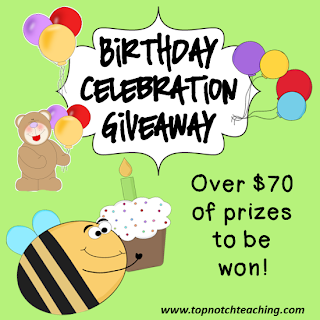 Also check out this giveaway from Mel at Top Notch Teaching! Her blog is turning 1 and she is having a huge celebration!